"This work is an expansion of a paper read at the meeting of the Royal Historical Society in May, 1875, and will be published in the volume of the Transactions of that body. But as it is an expensive work, and only accessible to the Fellows of that Society, and as the subject is one which is now engaging a good deal of public consideration, I have thought it desirable to place it within the reach of those who may not have access to the larger and more expensive work. I am aware that much might be added to the information it contains, and I possess materials which would have more than doubled its size, but I have endeavored to seize upon the salient points, and to express my views as concisely as possible. I have also preferred giving the exact words of important Acts of Parliament to any description of their objects. 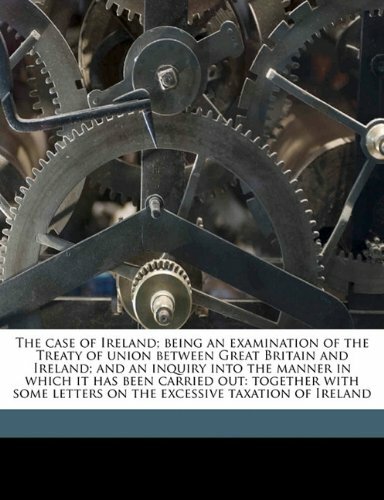 If this little essay adds any information upon a subject of much public interest, and contributes to the just settlement of a very important question, I shall consider my labor has not been in vain. " 4. 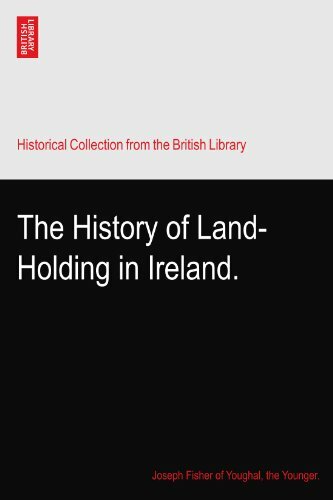 The History of Land-Holding in Ireland. 5. 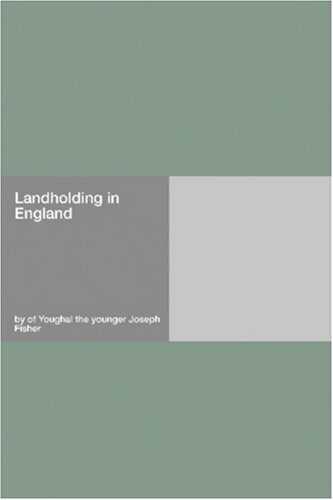 The history of landholding in England By Joseph Fisher. by Fisher. Joseph. the younger. 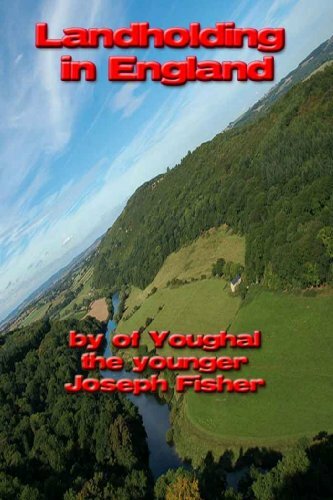 of Youghal.